One of the major objectives we want to achieve with the help of the capital raised on Companisto is the creation of a patient registry. Since this is one of the most important steps in our company's further development at the clinical level, we would like to explain it to you in more detail here. A patient registry is an online database where the most important results of preliminary and follow-up patient examinations in regard to specific illnesses are stored. In this database, data are stored in the context of a forward study, i.e., results are entered immediately before and after therapy. This approach is meant to encourage physicians to collaborate, to prevent superfluous and duplicate entries, and to ensure transparency of all therapy results. In most cases, such a registry is created with the help of external institutes, which are responsible both for programming the registry and for evaluating the statistical data. Thus, all data are collected and analyzed independently of the manufacturer. What Will the EBS Patient Registry Look Like? Collecting therapy results also has significant advantages for EBS Technologies. First, the EBS patient registry will help us increase credibility of the EBS therapy method. While clinical trials have already proven that the EBS therapy method works, new and up-to-date results are invaluable for the method's future. Additional data provide additional evidence for specific illnesses so that it is possible to make more qualified efficacy projections. Moreover, a large volume of data is the most important prerequisite for coverage of the costs by health insurance companies. 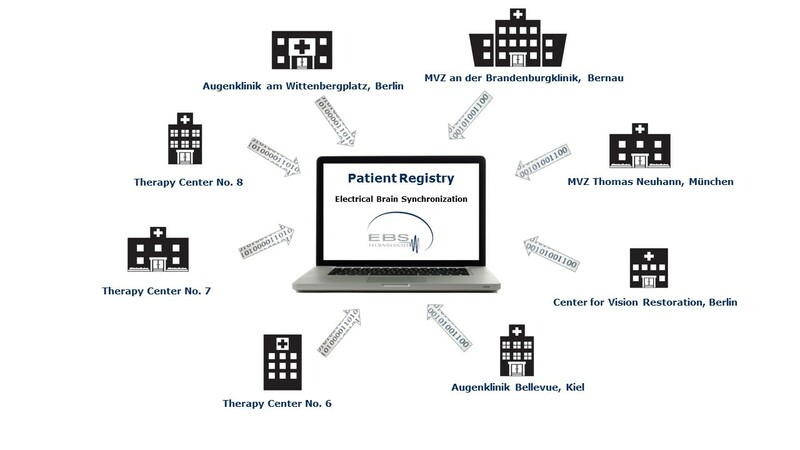 To achieve this objective, we want all physicians in our therapy centers all over Germany (and, at a later time, all over Europe and the world) to use the EBS patient registry so that there will be almost no delay in the collection of therapy results. Furthermore, this evaluation of clinical success is intended to take place over an extended period of at least 3 years. However, before a comprehensive international registry has been successfully set up, many things have to be considered and organized, which may take up to one year. This includes, but is not limited to, programming the register, agreeing on the contents with physicians, having the register evaluated by an ethics committee, integrating an external statistical evaluation institute, etc. Finally, the creation of such a complex database is a very expensive task, which is why we are still glad about each euro raised via Companisto that helps us make progress on this necessary project.